As a deadline-driven person, I’ve been stunned by the ferocity of focus that a baby’s due-date brings with it. Everything about my life, as I know it, seems particularly fleeting right now. This could be a our last 6 hour road-trip (without having to stop for breaks or endure endless “are we nearly there yets?”). This could be our last completely spontaneous bike-ride/conversation/moment together. This could be our last meal where no food ends up on the floor and walls. 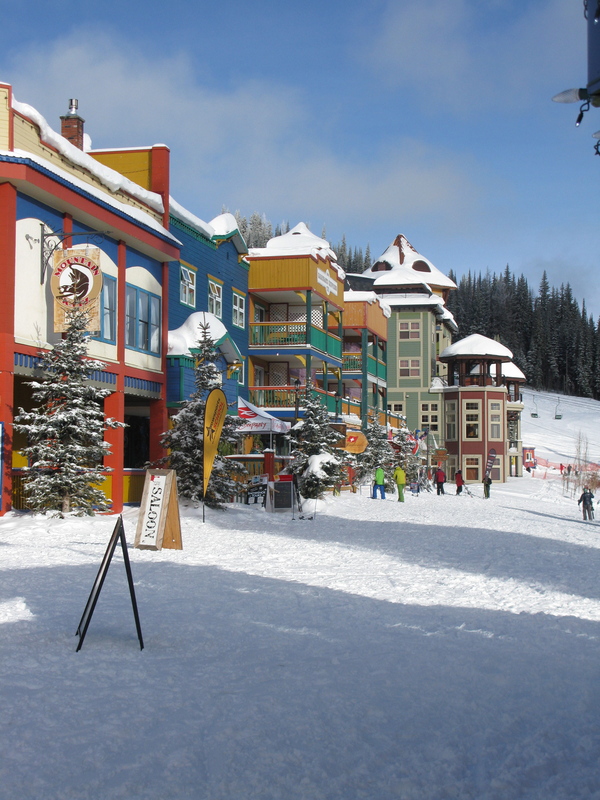 I’d never been to Silver Star before, and it charmed me utterly with its ski-in, ski-out village, candy-land colour scheme, and network of downhill, Nordic and snowshoe trails. The place is so pretty it should tinkle. But it also occurred to me that someone should let Will and Kate in on the secret: a ski resort is actually a great place for a babymoon. 1. Pregnancy is about making space – physically and psychically. Ski resorts are fundamentally “made” spaces, designed to let you shift into a different gear. 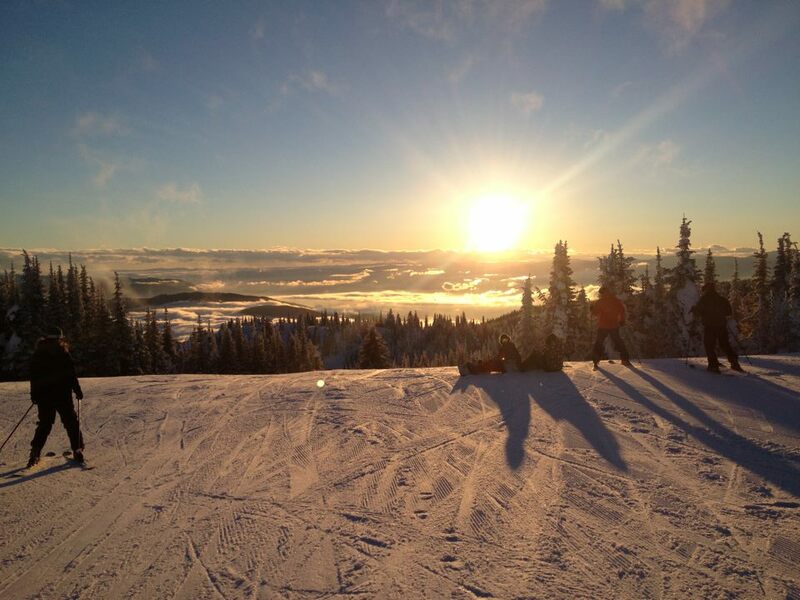 Silver Star is a completely manufactured resort – but it creates a sense of magic and whimsy and escape masterfully. 3. 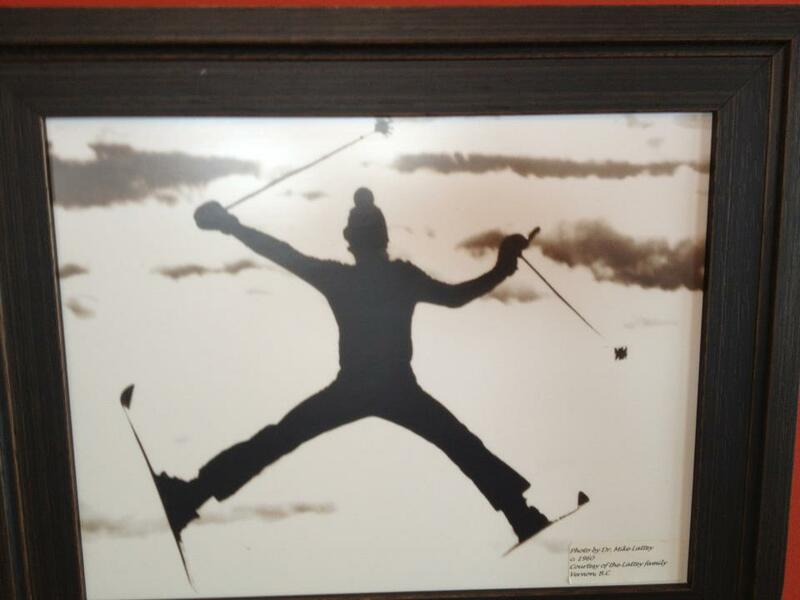 Time stops – even with full wifi, a ski resort is full of signs of Bygone Days – a VHS collection in the corner, a fondue set, a shag carpet, retro photos. 8 months pregnant is a funny balancing act: you don’t really want to get any more pregnant, but you increasingly want to be on the other side of this incubation project. A literal time warp is a nice place to be for a few days. 4. All kids look cute in their full ski gear. Lots of cute kids ripping around, especially at a place that is as family friendly as Silver Star is (ice-skating rink, tubing park, trails everywhere) makes you kind of optimistic about all the adventures you’ll have as a family. 5. No housework or chores. No bikini buff bodies. And no reason not to go out for several delicious grown-up Last Suppers. It certainly helps if you are an expert skier, not on bedrest, and can still slide around. Nothing like gravity and perfectly groomed runs to make you forget how much you resemble a Heffalump.